In a newly built house, probably the washroom is one of the places where major financed are spent. I mean though this is the place where we just get fresh, but lot of money is spent on its decoration fixture and fittings. 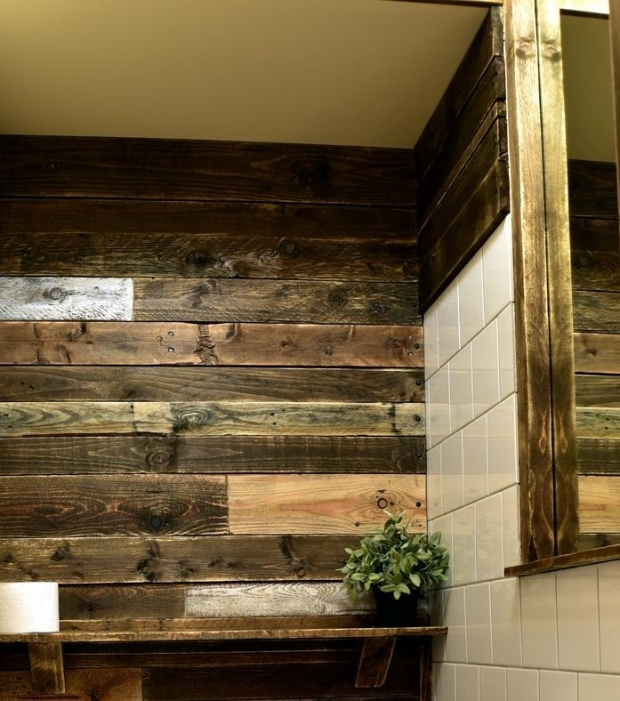 A lot of materials are used in decorating a washroom, but we are introducing you some bathroom wall decor ideas with recycled pallets. Yeah the very same pallets which we have used so far in recycling the wooden pallet furniture. So just prevent your finances from draining out and just concentrate on some economical yet demanding and stylish ideas. We have already used the wooden pallet in many wall decor and general decor ideas, but the bathroom wall decor is different in its nature. 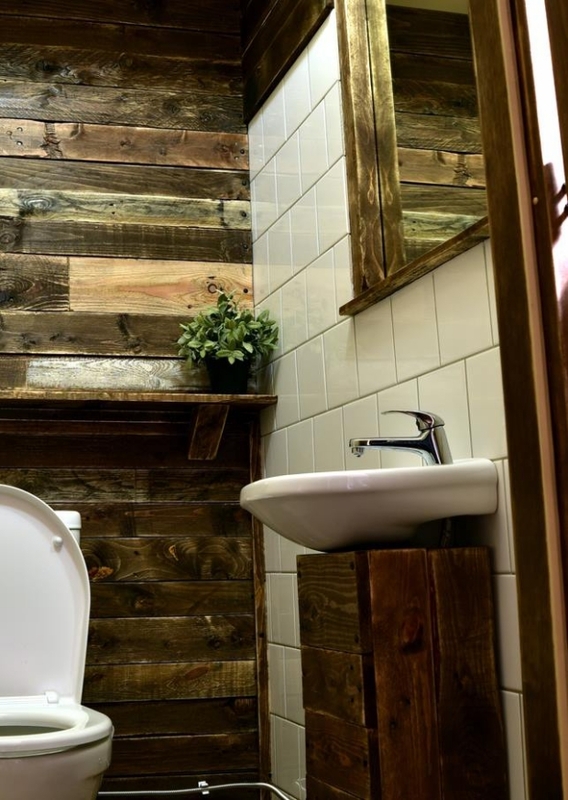 Again we are going to use the same wooden pallets, and this bathroom wall decor idea is definitely going to be far cheaper than the traditional ceramic tiles and other such stuff we normally opt for our bathroom tiles and decoration plans. You would have become too good dealing with the wooden pallets so far I am sure as a huge number of projects have been done with recycled pallet wood. Look at the bathroom walls from each and every perspective. 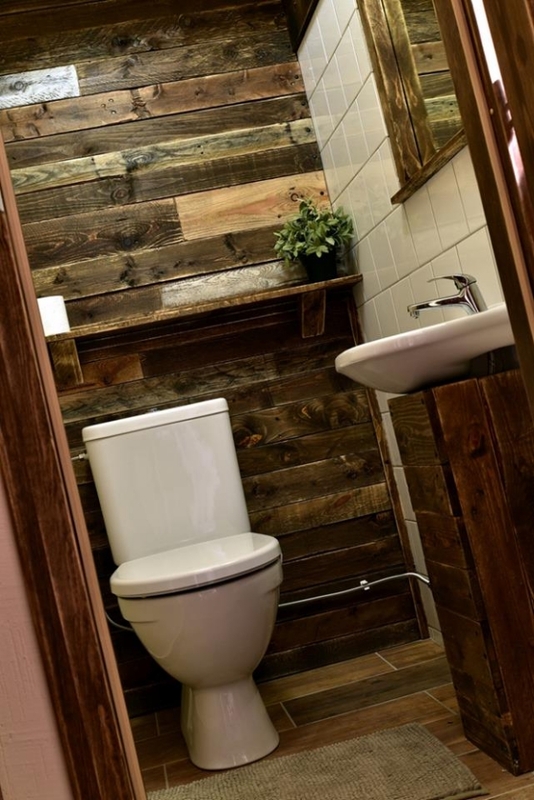 The ceramic based installations are left uncovered, while rest of the wall and every nuke and corner of the bathroom is covered with the wooden pallets. 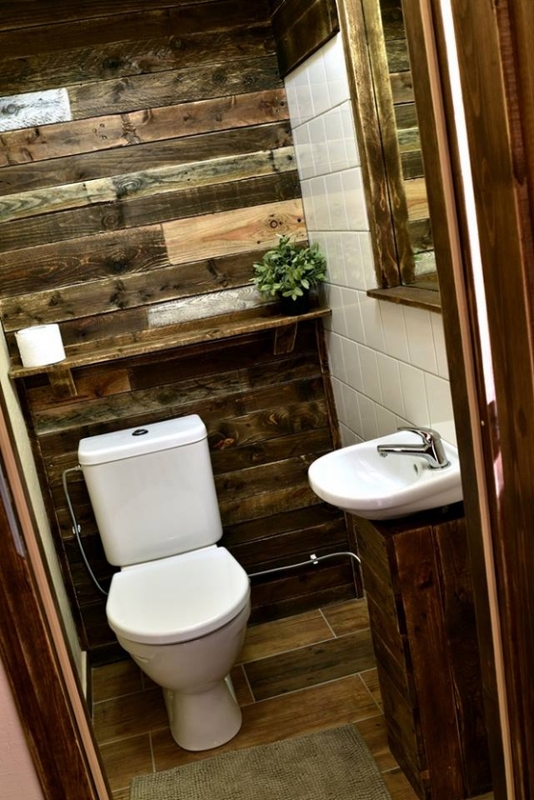 The bathroom walls are wrapped up with disassembled wooden pallets and it is creating such a nice and industrial look right inside the bathroom. 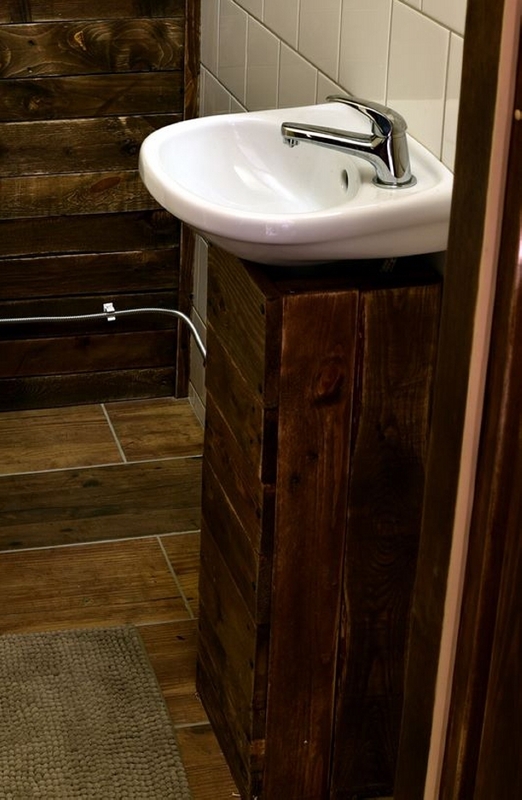 There can not be a better decor idea than recycling the wooden pallets. And from each perspective, this wall decor idea is handy and economical as well. Just try this and see the difference, you would love this decor idea I am more than sure.